On this edition of the Weekly Before & After, we have a wedding set that unfortunately became stuck on the clients finger and had to be cut off. 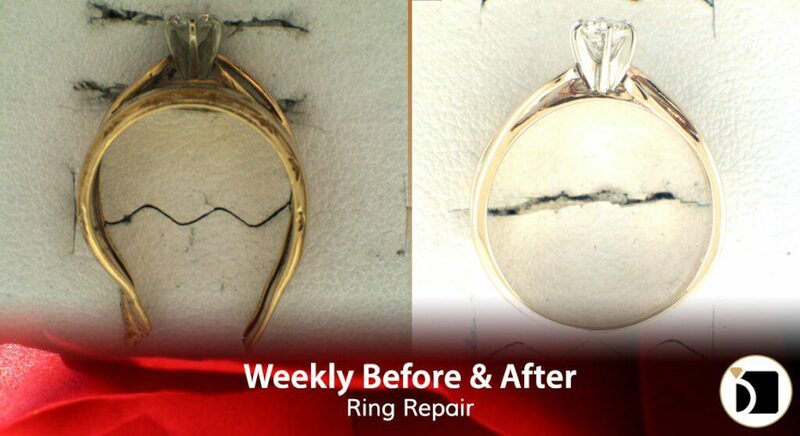 In order to repair the rings, we had to replace the damaged area of the rings by performing a half shank repair, size them, and solder them back together. The engraving on the inside of the shank was also damaged and needed to be re-engraved. It is then all wrapped up with our signature clean and polish and it’s good to go.